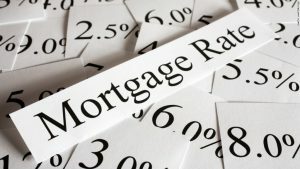 Mortgage rates have been low for many years and have been kept that way by our government as this administration was worried that a higher interest rate would bring the housing market to a screeching halt. The truth is cost of homes have been on the rise for 6 plus years, yet it has been affordable for folks because mortgage rates have been kept low. Mortgage rates are expected to rise in the near future and now seems like a definite outcome with our unexpected election results. Higher mortgage rates does not mean that it will be a bad time to buy homes, in fact it may be a good time to make a purchase. The expectation is for mortgage rates to rise, with this increase however we’ll see home prices to decline a bit or at the very least be stagnant. As rates rise, there will be more deals for investors as some folks may not be able to afford their monthly payments if they did not have a fixed mortgage rate. As rates rise, folks will be able to buy houses below market value much more often than at the current time. Home prices are actually up 40% since the housing market reached its floor in 2011, this is great for homeowners but not so great for home buyers. Folks buying homes in 2017 will see higher mortgage rates, however there will not be as much competition for homes and folks will not have to worry about getting into a bidding war with another home buyer. Prices for homes will not continue to increase as they have over the past 6 years, in fact there should actually be plenty of bargains out there and with mortgage rates increasing banks will offer more loans and home buyers will get more house for their money as home prices will not continue their upward incline. With mortgage rates increasing, folks can expect to find more deals out there and if you have cash to pay for homes, you will be in tremendous shape as there will be many deals available, but folks that need mortgage should be just fine as well. Feel free to visit our real estate blog more often to get more real estate tips.